Hmm. Maybe this on never technically posted. Welcome Corbin Millard to the Click Click BAMF team. Corbin is just getting into Nerf for the first time as a "kiddult". He told me that he was really tempted by the ammo and the sleekness of the new blaster designs. 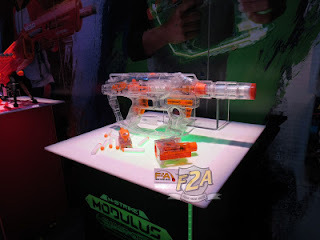 So here we unboxed and reviewed the Nerf Rival Hera. We talked about terminology in the video a little bit. As you may know, we say things like rounds, dart and ammo instead of bullets. We also refer to the toys overall as blasters. While these are reminiscent of guns, they are toys. We want to separate them for those who need to know the differences! You can check out the Hera and the Hera Battle Gear Bundle through our affiliate links here. This post will update with images and thoughts throughout the week. Now for a couple of Nerf things we didn't really hear about during the Toy Fair 2018 coverage and a few things we just have more on. The one I didn't hear a peep on or see anything on for sure was the Nerf Doomlands Holdout. 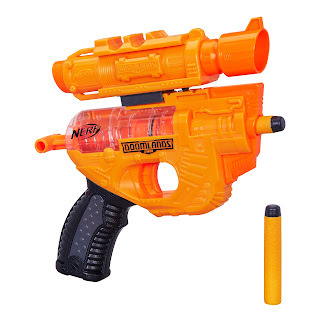 The pic comes from our friends at Nerf and the description comes from their Hasbro Product Page. New Click Click BAMF T-Shirts for Nerf and Foam Warfare Fans! What's up, Warriors!? 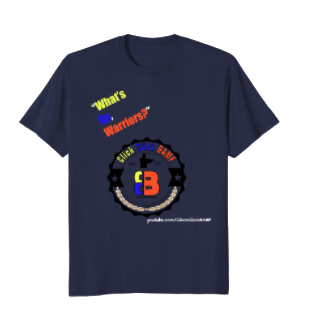 I'll tell you what's up; new t-shirt designs! We got approved for our Amazon Merch account over the weekend and started submitting the work. You've got to be careful with the way their shop works though. You can't say things like Youtube and Nerf in the description because they (Amazon) view it as a copyright infringement. 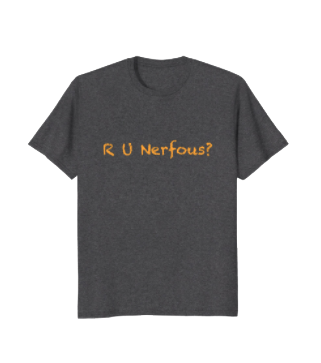 That's unfortunate for people searching for things like "Nerf" on Amazon, because they won't find our designs as easily as you. It's a word. Well, at least it's a word now. Check out the listing for the new dictionary definition we put on the back. It's just kind of a different way to celebrate your Nerf fandom. This one costs a little more, for a couple of reasons. As you know, we've been working hard on a pilot for our new reality series, "Nerfing in Unconventional Place (Working Title)". Your purchase of this shirt will allow us to expand the budget on this and other projects! In addition to supporting the brand, you'll also get special access to any events that Click Click BAMF puts on this year. Your ticket will automatically be upgraded to VIP if you wear the shirt! Well, the name says it all. You know we start almost every video with that phrase. 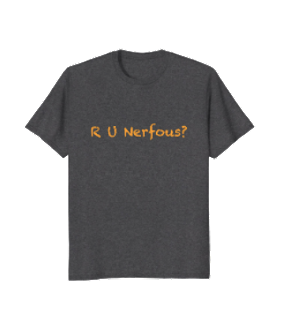 Not everybody has expendable income, so we wanted to make a less expensive shirt to rock your fandom right away! I hope all our warriors are getting the chance to check out the new channel trailer. I worked on it going into the weekend. It shows off some of the cool gameplay we've taken part in and also points out how we've gone across the US to show off some of the Nerf news and arenas. 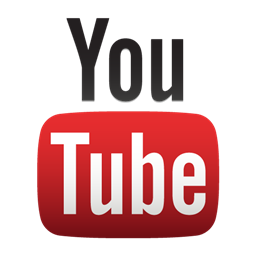 Please make sure you subscribe and hit the notification bell on youtube to get all the updates from us!